New York City plans to ban soda sales at restaurants and movie theaters. Well, okay, not ALL soda sales, just sugary drinks over the size of 16oz (2 cups, in case you were wondering). This would not apply to any diet beverages. The proposal was put forth by NYC mayor Michael Bloomburg. Bloomburg’s argues that by limiting people’s choices we might be able to make an impact on the obesity epidemic. He also suggested that restaurants charge more for the smaller sugary beverage to make up for any lost profits. So what do I think about this new ban on sodas? It’s a terrible idea. First off, sodas are not responsible for making people fat. The overcompensation of these drinks along with poor diet are responsible. Second, limiting the amount someone can have of something bad does not fix the problem. That’s like limiting cigarette smokers to one pack a week for their own good. The intention is good, but most people know that smoking is bad for your health. They also know that too much sugar is bad. Third, diet sodas can be just as bad as full-calorie sodas. 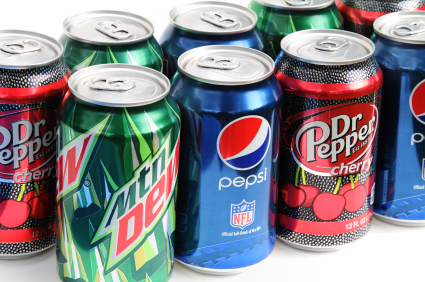 Diet sodas trick the brain into thinking you’re going to be receiving calories. When you don’t get any, you get hungry. So what do you do? Grab a snack! And chances are, it’s not going to be an apple. Education is the answer. Teaching people how to make wise food choices, especially when they dine out, is key to kicking this obesity thing. Restaurants can provide their customers with nutrition information, calorie information, guides on how to makes healthy choices at restaurants, and allergen information. It will take time, but you can’t teach a nation overnight. ← How Many Calories in Crawfish?